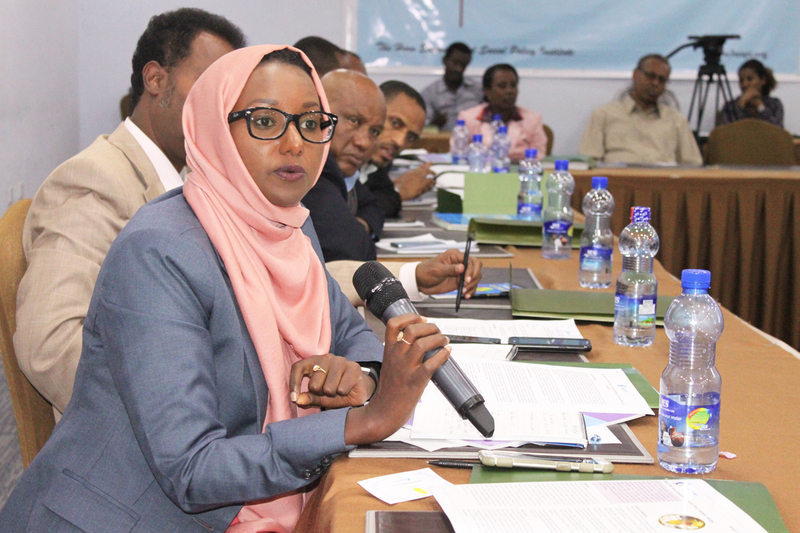 "Fiscal Federalism and Decentralization in the IGAD member countries"
The Horn Economic and Social Policy Institute (HESPI) has been organizing Policy Forums to create an avenue for cross-learning and to disseminate research findings to influence policy formulation and implementation processes. On 26 September 2016, the Institute held a policy forum on Fiscal Federalism and Decentralization based on a commissioned study conducted for selected IGAD member countries: Ethiopia, Kenya, Somalia and South Sudan. The aim of the Forum was to assess and document the practice of fiscal federalism in the select countries and to draw useful lessons from the relatively advanced federal systems of Ethiopia and Kenya, for Somalia, South Sudan and other IGAD member states embarking on federal governance. The Forum participants included policy makers and prominent researchers on federalism and decentralization from the select IGAD countries and the sub-region at large. The study assessed how fiscal federalism operates or is designed to operate in each member country of the IGAD region; as well as the structure and operations of fiscal federalism in the region. In considering the lessons that may be learned, attention is given to the criteria of equity, autonomy, accountability, political stability and intergovernmental relations between the levels of government. The role of functional and administrative capacity is assessed in terms of the overall importance of achieving the objectives of fiscal federalism and decentralization.